CATCHING UP WITH MATHS IF FUN! MOST Mzansi pupils struggle with maths more and more as they climb their grades. This is why Numeric, an NGO, has stepped in. Their aim is to help all pupils understand the foundations of maths. While the programme is currently active it only serves some Soweto schools. Emisang Machedi, chief programme manager, said: “Numeric has developed a low-cost delivery model for high-impact, after-school programmes in low-income areas. We currently serve 15 Soweto schools. The after-school programmes have two main beneficiaries: the pupils and the coaches who run the programmes. Coaches are trained in an intensive teaching internship. Numeric has partnered with a number of universities to offer specialised courses for various first year students. Using their teacher training experience and Khan Academy courses, Numeric provides short courses for in-service teachers and other community organisations. 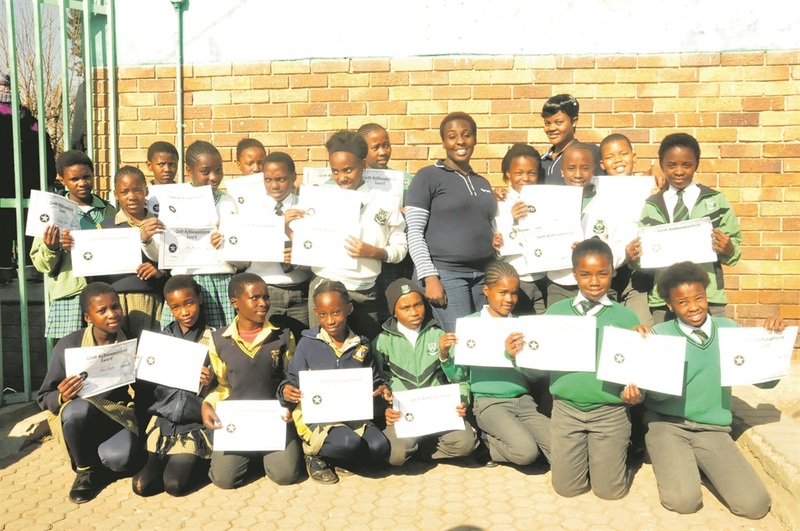 Dimakatso Nxumalo, a third year student at the University of Joburg, said: “I have coached many pupils in maths.